For a few weeks now, we have been able to find some signs of the arrival of a new iPhone case inside iOS 12. The latest updates have been preparing the ground for the return of one of the most interesting accessories of the phone. 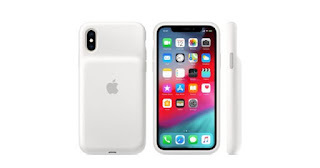 Today, finally, users have already fulfilled their wishes in the form of a new page within the Apple Online Store that now announces the launch of a new version of the Smart Battery Case . As of today, as they indicate in The Verge , it is already possible to acquire the revision of this accessory so famous and that so many adepts has achieved since its first version. The Smart Battery Case has managed to convince those who do not mind sacrificing the design of the iPhone to achieve more autonomy and protection. Now, users of the iPhone XS, XS Max and XR can already enjoy the same advantages with this new release that will begin to be delivered from next week. 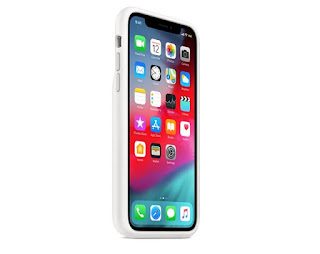 Like its predecessors, the Smart Battery Case is characterized by its intelligent battery management, which works with iOS to achieve maximum performance of the additional battery that integrates the case. However, and although they could have taken a simple adaptation of the case to the design of the new iPhone, they also integrate some new features such as compatibility with wireless charging, which allows charging the phone and the case at the same time. The only problem that still exists with these cases, is that they do not finish getting rid of the bulk of the back . By increasing the size of the phone, you might think that now it is not necessary, but Apple has decided that it should remain, almost as if it were a hallmark of the accessory. Hopefully they can solve it in future revisions.